Stainless Steel Muffler for Classic Type 1 Engine with GT Twin Tail Tips, fits on Beetle 1961 up and Karmann Ghia. 1. For Type 1 Engine upto 125 BHP. 6. 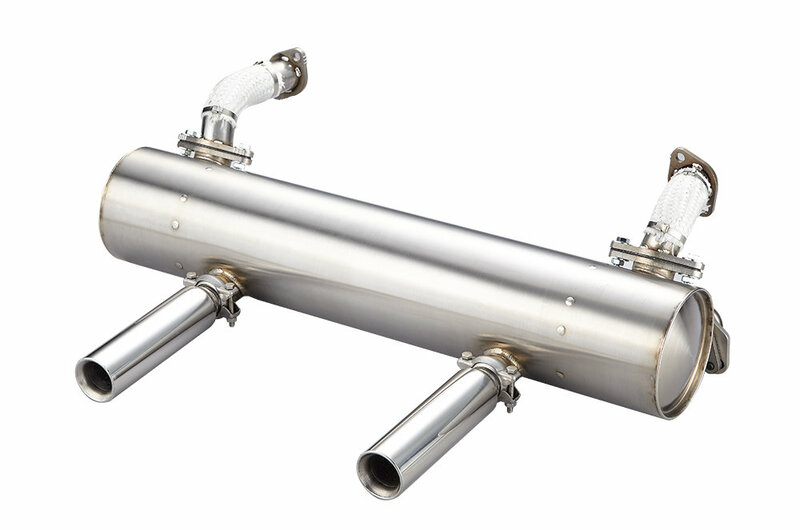 The muffler set including: New Design of Muffler, GT twin tail pipes with clamps, headers for #2 and #4 cylinder, flanges and clamps connecting to heater box and gasket set.